The Leazes Inn has a good children�s menu for example chicken nuggets chips and beans and they also offer crisps, snacks and confectionary. Student discounts on many of the drinks are always available. The Leazes Inn has a wide range of drinks from the basic soft drinks to champagne. One of the wines on offer is called Khulu Mama, Pinotage and it is from the Western Cape in South Africa which is only exclusive to The Leazes Inn. The Leazes Inn has lagers, stouts, bitters and Guest ales for example Carlsberg, Boddingtons, Guinness and Black Sheep. They also have cheap house doubles on Gin, Vodka, White Rum and Whiskey etc. A big attraction for the students is a special offer where students can get a four pint jug of selected ales and lagers for a special price with student ID. Why not pop along and find out for yourselves how tempting the food tastes and quench your thirst with a cold beer or soft drink. 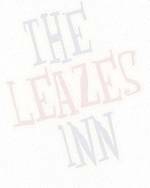 The Leazes Inn welcomes everyone from families to students. Just click on the Food Menu to find out more.